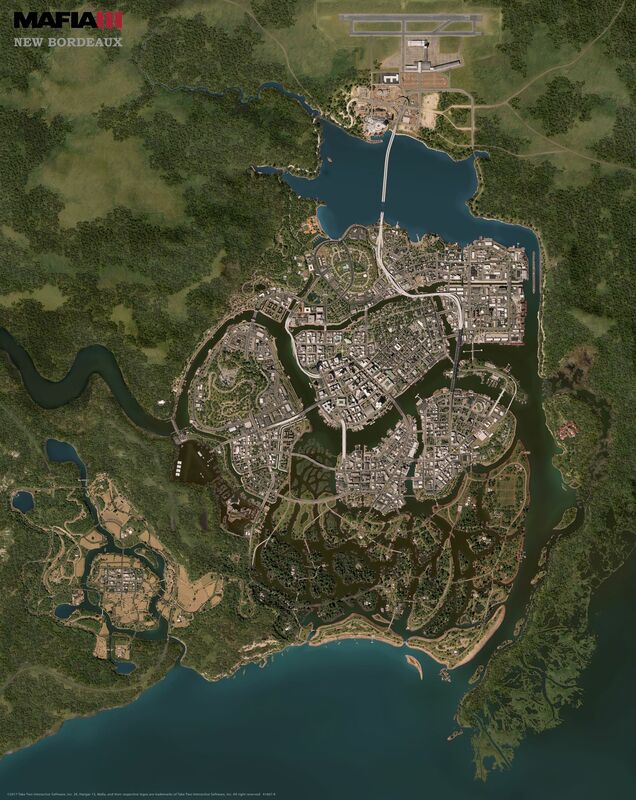 So, you’ve been hearing a bunch about Mafia III since it came out last October. For whatever reason, you hadn’t gotten around to playing yet. 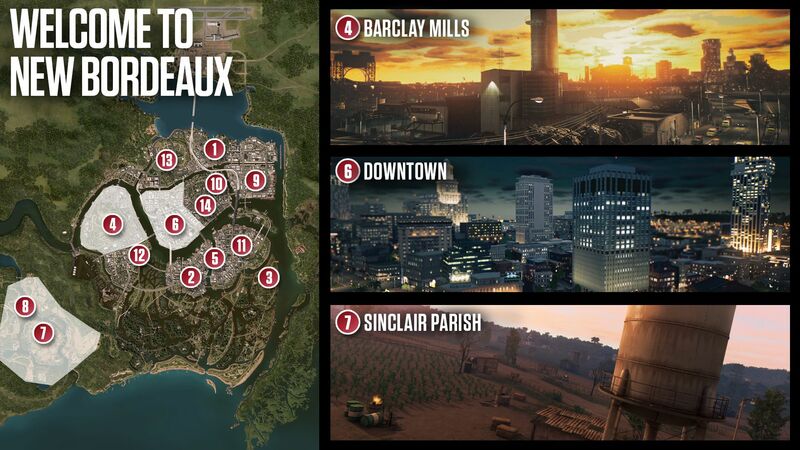 Now that the final installment of the Season Pass DLC – “Sign of the Times” is available, we thought that this would be the perfect time to revisit New Bordeaux and give new players a turbo-tour of the game. Want to navigate the huge city of New Bordeaux and experience Lincoln Clay’s critically-acclaimed story? We asked Nathan Cheever, Lead World Designer for Mafia III, about his preferred order of tackling missions. 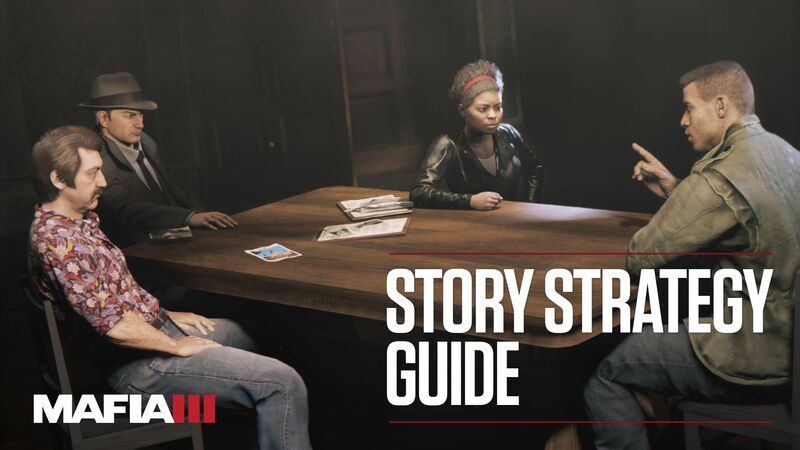 Let’s get something straight, up front – This isn’t a proper strategy guide. It’s one possible progression order so that you can appreciate a great story. And don’t worry, I’m going to do my best to avoid spoilers. How about we start this after the opening heist? You’re looking to gather your own allies and the first to join your crew is the Haitian mob. Pretty quickly, you’ll learn that in order to find the local mob bosses, you’re going to need to shake up their businesses. The surest way to do that is cripple their cash flow. IMPORTANT TIP: Look at all the district objectives. Oftentimes, they will overlap in one area. A building could house a destroy mission, an enforcer you need to kill and other bonuses. Follow that simple rule and you don’t have to take out every single location in order to take down a racket. Better yet, you can quickly lure each local district boss out of hiding if you follow this method. Now it’s time to start forming your own mob. With the Haitians on board, you still need to earn the trust of the Irish and Italians. Try getting Burke and the Irish Mob on your side next so that you always have a fleet of cars that can be delivered to you. Once the Italians join up, you’re headed to the first sit-down with your new Lieutenants to divvy up territory. This is where the world officially opens up. 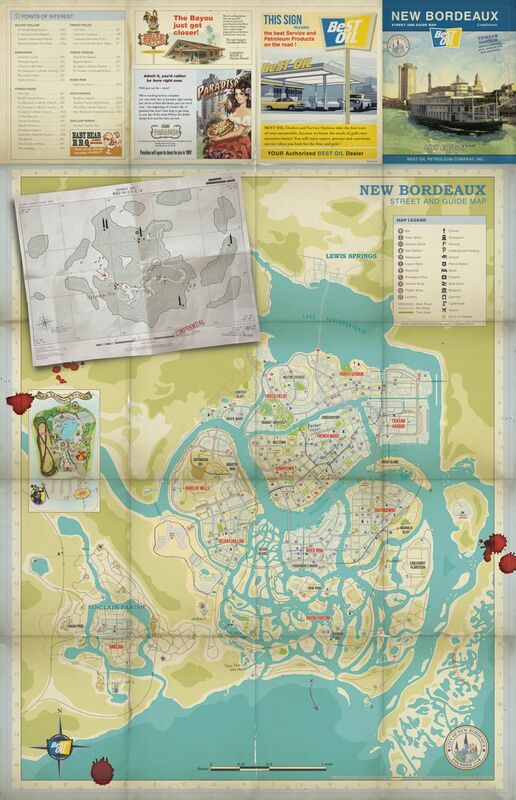 You’ve got your three underbosses and have your sights set on the rest of New Bordeaux. Run the mob out of Barclay Mills. Take out the trash and bust up some weapons deals in this first District you decide who gets it. This is a good time to break off and try your hand at completing a couple races around the city. It’ll help you with mastering your car handling, because some crazy car chases will be coming at you in later missions. While you’re at it, feel free to start customizing the cars in your fleet. Go Downtown and kick out the Mafia. Enjoy your stay at The Royal Hotel and its great views of the city. Play Faster, Baby! DLC. Now that you’re familiar with the city, this is an excellent time to take a trip to Sinclair Parish. Enjoy the countryside, drop grenades while driving, and pull off slick maneuvers in slow-motion. Start your Grow House to make some extra green. Take down the competition in Tickfaw Harbor. You might start hearing references to Havana…which is as good a time as any to try some more DLC. Play Stones Unturned DLC. Not only is this a great action-adventure story, you get to partner up with your buddy, Donovan. Race to CIA safehouses and undisclosed locations as you track down a rogue CIA agent with his own agenda. 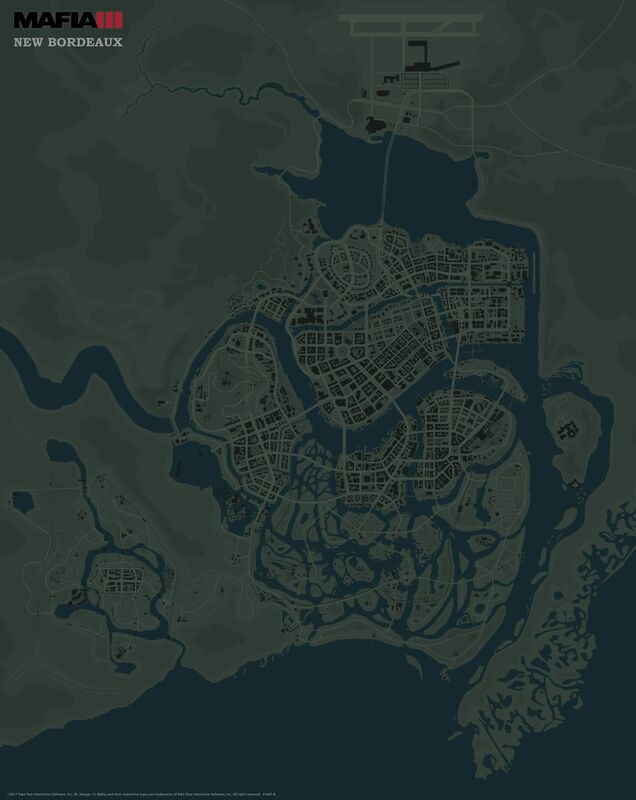 While you’re at it, try some of the Bounty Hunter activities throughout New Bordeaux to have some fun while earning more cash. Play Sign of the Times DLC. It’s a full-blown thriller mystery that introduces new weapons, cars, outfits and – after you stop the cult – you get a chance to rebuild Sammy’s Club as your own. Clean house in Frisco Fields. This is the gentile, well-kept part of town where everything is just perfect. That’s about to change. Bring your party to the French Ward – This is the tipping point in the campaign. Sparks fly in the Bayou! From here, just finish the rest of the main story. This is saying nothing of the extra storylines for each of your Lieutenants or the other territories. 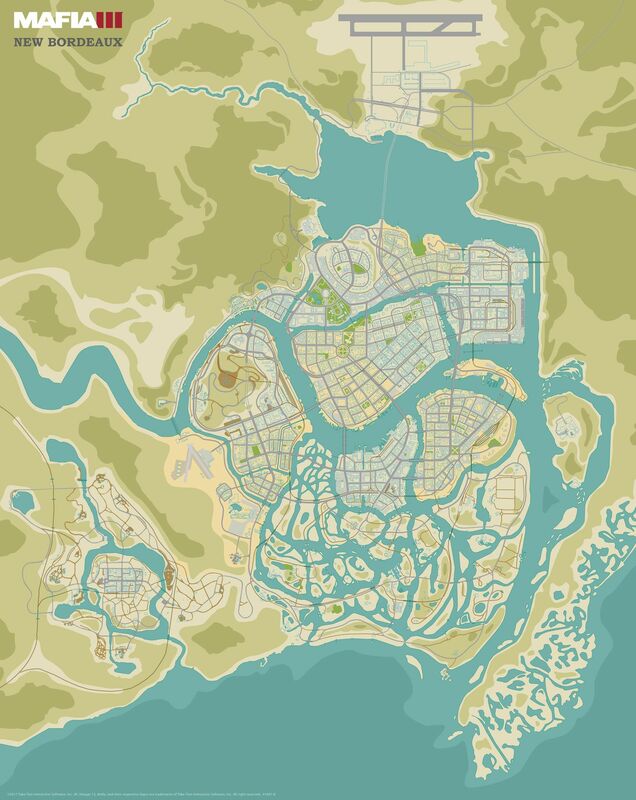 At any point, you can break off to start Cassandra's weapon story, Vito's hitman story, and Burke's car theft ring. 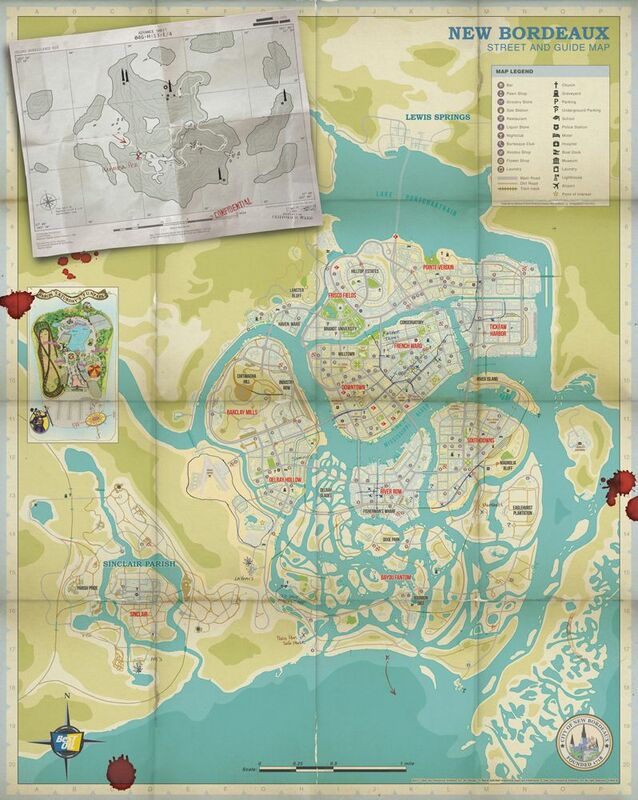 Or look to acquire a couple new hideout locations. Keep in mind that this is just one way for you to play through the game. The story pacing can shift depending not just upon when you take out certain businesses, but which of your Lieutenants you put in charge afterwards. 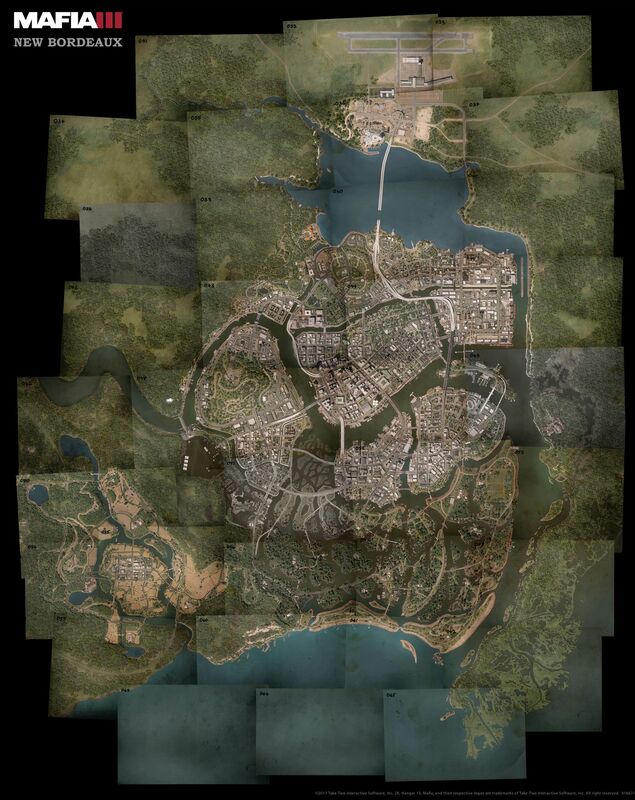 There are a number of decisions that change the ending of Mafia III and we hope that you enjoy all of them. Did you like the maps you see here? Download some sweet, hi-res versions for yourself! 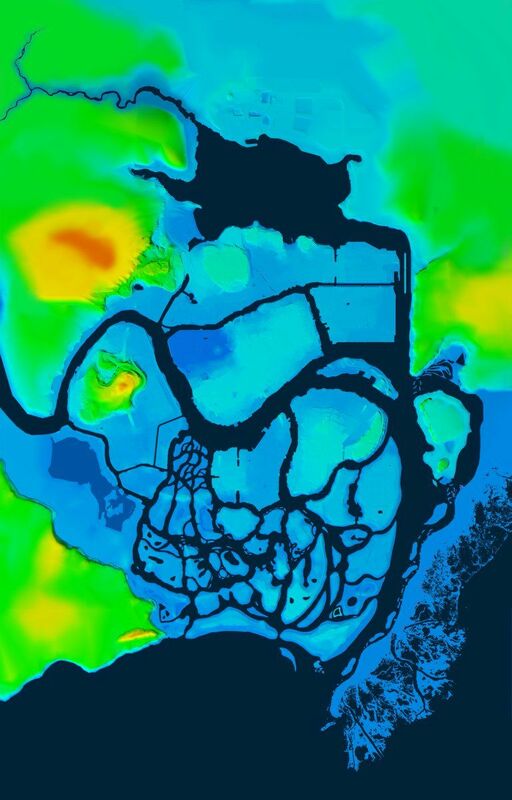 We created some amazing, detailed maps for our own use here at the studio - and for you at home. Click the links below.